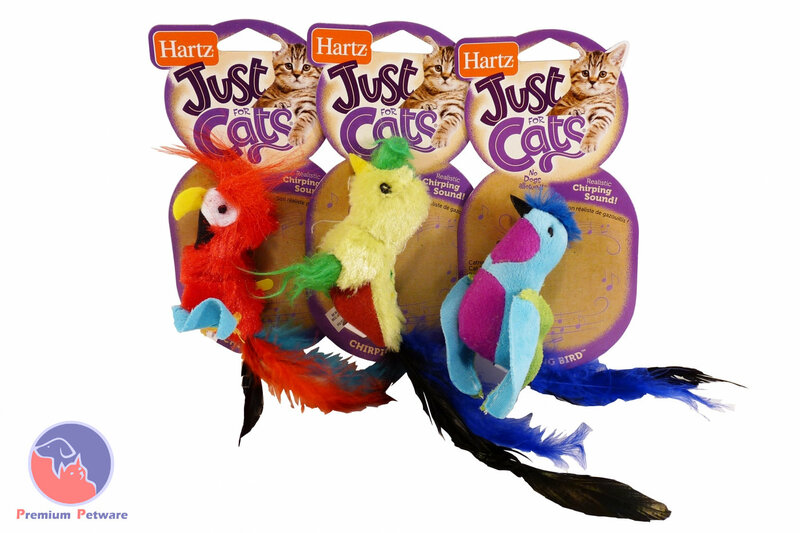 Feathery catnip filled toy with the added enticement of electronic chirping noise when batted or bitten. Cats love them! This catnip filled colorful bird with a feathery tail will keep your cat on the prowl, putting their natural predator skills to work while they are on the hunt. Also, features a realistic chirping sound. 3 assorted styles available, a random one will be sent. Please put your preference order in the checkout notes if a specific style is desired.